The Insurance Store of CT provides commercial property insurance for businesses located in the greater Hartford and Manchester CT area. The most common types of commercial insurance are property, liability and workers’ compensation. In general, property insurance covers damages to your business property; liability insurance covers damages to third parties; and workers’ compensation insurance covers on-the-job injuries to your employees. One of the most common types of business insurance is commercial property insurance. This policy provides a wide range of coverage for buildings, inventory, equipment, tools and more. Losses from fire, break-in, vandalism, wind and other natural or man made disasters are examples of what is typically covered. A basic commercial property insurance policy may be all you need, although the types of coverage can vary between different insurance companies. The Insurance Store of CT helps you determine the type of insurance policy and range of coverage that is best for your business. Whether you own a building structure, equipment, inventory, stock, furniture or fixtures, you have commercial property to protect. It’s not just about protecting your building, it covers everything that makes doing business possible. How will you replace your property in the event of a fire, theft, or severe storm? A catastrophic loss could close down your business temporarily or indefinitely. You will want to discuss the scope of your commercial property insurance requirements with our agents to assure your assets are protected. If you have equipment that is often taken off-site we can show you options for securing those items as well. You can trust Sheri Wilson and her capable staff to find the right coverage for all your business insurance needs. 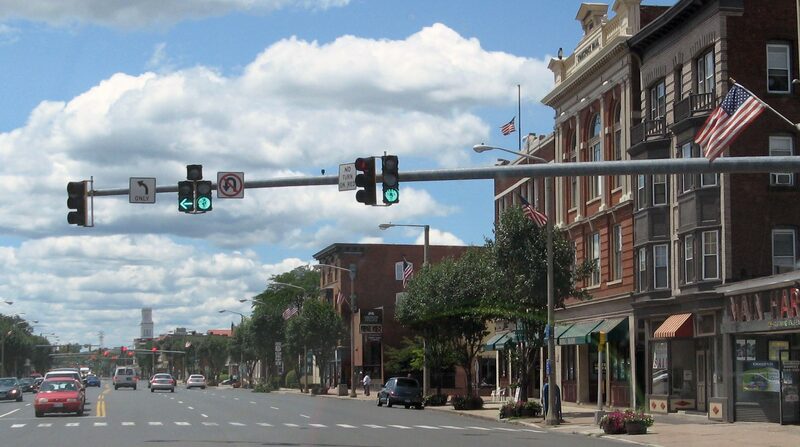 Our Manchester office is minutes from Hartford, East Hartford, or anywhere in central Connecticut. Please call us today: 860-645-1960. The Insurance Store of Connecticut provides Commercial Property Insurance for Connecticut Businesses. Investing in a Commercial Property Insurance policy protects your property should a catastrophe occur. Commercial Property Insurance protects your small business beyond the scope of your Business Owner Policy. Whether you own or lease commercial property, The Insurance Store of CT offers a variety of options that meet your coverage needs. Many small business owners are under the impression that their business owner policy provides all the coverage they will need to protect their property. Whether you own a building structure, equipment, inventory, stock, furniture or fixtures, you have commercial property to protect. Remember, it’s not just your building. How will you replace your property in the event of a fire, theft, or severe storm? A catastrophic loss could close down your business temporarily or indefinitely. If you have equipment that is often taken off-site we can show you options for securing those items as well. The agents at The Insurance Store of CT are extremely knowledgeable about the products and coverage that building owners and property managers require. Using our experience and expertise, we will design a solid plan to ensure you return to business as usual as quickly as possible in the event of a catastrophe such as fire, flood, power loss or theft. The Insurance Store of CT team will be your insurance partners. Our professional agents are thoroughly dedicated to the continuity of your business and your continued success. Contact Sheri at The Insurance Store of Connecticut today, and gain peace of mind knowing we can help you protect your business. Phone: (860) 645-1960.